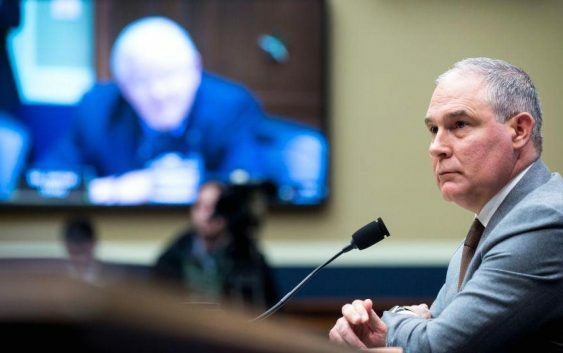 The Environmental Protection Agency‘s internal watchdog has opened a probe of besieged Administrator Scott Pruitt‘s controversial Washington apartment rental. The investigation of that rental — from the wife of a lobbyist who had clients had business with the EPA — will be the fifth inquiry being conducted by the EPA’s Office of Inspector General into questions related to Pruitt’s tenure. The OIG already was eyeing Pruitt’s use of first-class flights for business travel, millions of dollars in spending on his security staff, approvals for big raises for a number of employees, and reassignment or demotions of certain staff. 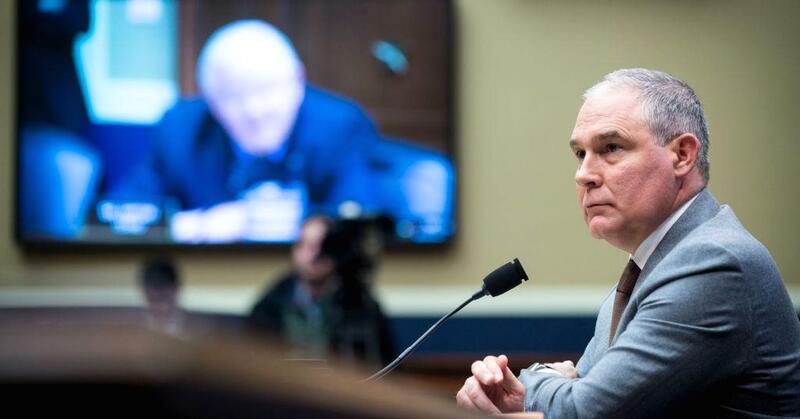 The Government Accountability Office last week found that the EPA had violated federal spending rules by its approval of a $43,000 soundproof booth for Pruitt’s office. OIG’s plan to now review Pruitt’s rental, for just $50 per night, of a room in a condo on Capitol Hill was disclosed in a letter Inspector General Arthur Elkins Jr. sent to Rep. Ted Lieu, D-Calif. Earlier this month, Lieu and Rep. Don Beyer, D-Va., had called for a probe of the rental, saying there is a concern it violated ethics rules. “We have received multiple requests from multiple members of Congress, as well as other OIG Hotline complaints, regarding these same and related issues,” Elkins wrote. An EPA ethics official, Kevin Minoli, had initially ruled that Pruitt’s rental of the room from Vicki Hart, wife of lobbyist Steven Hart, would not violate federal ethics rules. But Minoli later said he did not have sufficient information about the deal to determine if Pruitt honored the terms of the lease.